Whilst using our website, software applications or services, you may be required to provide personal information (name, address, phone number, email account details, etc.). We will use this information to administer our website, applications, client databases and marketing material. We will ensure that all personal information supplied is held securely in accordance with the General Data Protection Regulation (EU) 2016/679, as adopted into law of the United Kingdom in the Data Protection Act 2018. Further, by providing telephone, fax and email details, you consent to Sapphire Properties SL contacting you using that method. You have the right at any time to request a copy of the personal information we hold on you. 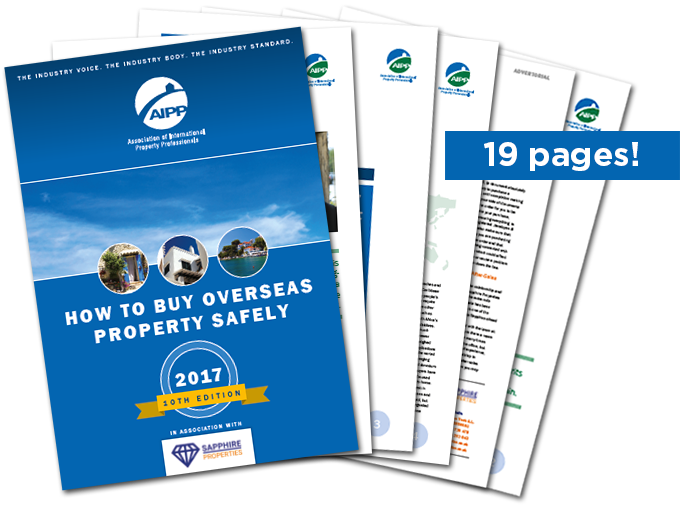 Should you wish to receive a copy of this, or would like to be removed from our database, please contact us at info@sapphireproperties.co.uk. Sapphire Properties SL will not retain your personal information longer than necessary. We will hold onto the information you provide either while your account is in existence, or as needed to be able to provide the Services to you, or (in the case of any contact you may have with our team) for as long as is necessary to provide support-related reporting and trend analysis only. Sapphire Properties SL will not sell or rent your personally identifiable information, gathered as a result of filling out the site registration form, to anyone. You can verify the details you have submitted to Sapphire Properties SL by contacting our team : Avenida las Naciones 1A, Local Nº22, Ciudad Quesada, 03170 Rojales, Alicante, Spain | +34 965 725 478 | info@sapphireproperties.co.uk. Our security procedures mean that we may request proof of identity before we reveal information, including your e-mail address and possibly your address. You can also contact us by the same method to change, correct, or delete your personal information controlled by Sapphire Properties SL regarding your profile at any time. Please note though that, if you have shared any information with others through social media channels, that information may remain visible, even if your account is deleted. You can always feel free to update us on your details at any point by contacting our team: Avenida las Naciones 1A, Local Nº22, Ciudad Quesada, 03170 Rojales, Alicante, Spain | +34 965 725 478 | info@sapphireproperties.co.uk. You can request a readable copy of the personal data we hold on you at any time. To do this, please contact us: Avenida las Naciones 1A, Local Nº22, Ciudad Quesada, 03170 Rojales, Alicante, Spain | +34 965 725 478 | info@sapphireproperties.co.uk. Our security procedures mean that we may request proof of identity before we reveal information, including your e-mail address and possibly your address.